LORD – means owner, one who has the title deed of the property, ultimate decision maker on the owned property. SO MANY BELIEVERS WANT JESUS TO BE THE LORD OVER THEIR SPIRIT SO THEY DO NOT GO TO THE LAKE OF FIRE…. JESUS’ PLAN WAS TO BE LORD OVER OUR WHOLE LIFE (spirit, soul, and body). Luke 9:24, For whoever would save his life will lose it, but whoever loses his life for my sake will save it. This is not just getting born again – that is just the beginning! HIS PASSION IS TO BE THE LORD OF ALL, NOT LORD OF THE PART. 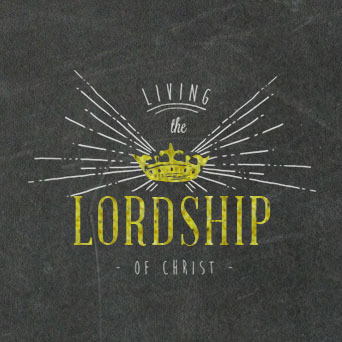 Why would you want Jesus to be the Lord of all? When Jesus is Lord of all then the Kingdom’s principles and power are part and parcel. So that means not only your salvation is taken care of, but every other need you would have in the soul or body will also be met! So many have gotten mad at God because they did not get an answered prayer, yet they had never made Jesus Lord over that portion of their life! IF JESUS IS NOT THE LORD OF EVERY PORTION OF YOUR LIFE, THEN YOU ARE lord OVER THAT PORTION OF YOUR LIFE! Is your family a mess? IS JESUS LORD OVER YOUR FAMILY? Is your money a mess? IS JESUS LORD OVER YOUR MONEY? Is your mind a mess? IS JESUS LORD OVER YOUR MIND? Is your physical body a mess? IS JESUS LORD OVER YOUR PHYSICAL BODY? SURRENDER ALL OF YOURSELF TO JESUS, NOT JUST PART! Come visit us on the web at www.histabernacle.com, or watch www.hisword.tv every Sunday morning on WENY-TV ABC at 7:30am., and CBS at 8:00am. We now live stream our service every Sunday morning at 9am and 11am eastern standard time, and every Tuesday evening at 7pm is Rock Solid Faith. Dr. Spencer has launched his new website for helping ministries at www.empoweringpastors.com and www.empoweringpastorswives.com.